After missing out on being able to visit Walt Disney World in the spring over the past few years, I was finally able to change that trend with a trip at the beginning of this month. 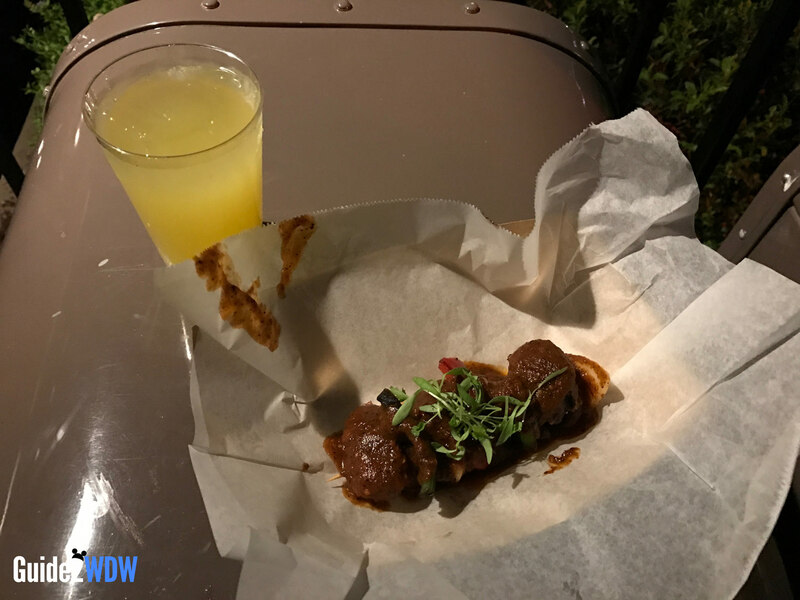 That meant that this was my first time getting to experience the Epcot Flower and Garden Festival’s Outdoor Kitchens, aka Epcot Food & Wine Festival: Spring Edition! 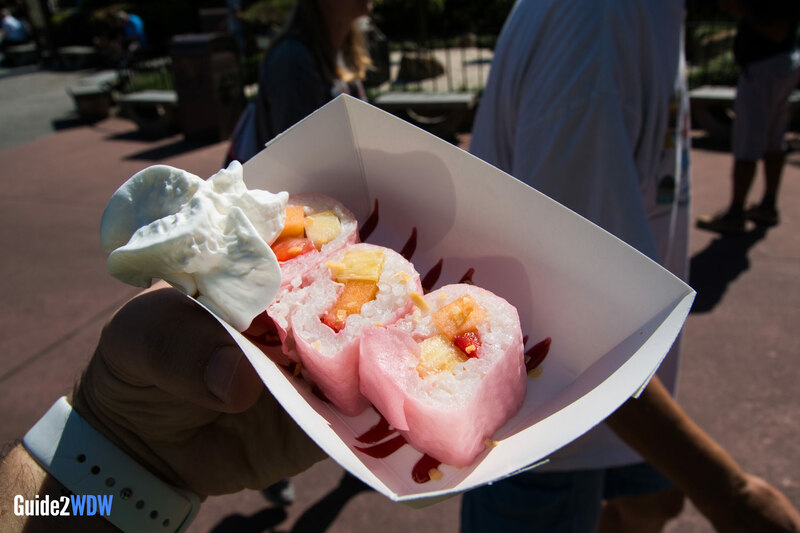 All kidding aside, I was excited when Disney first included food booths in the Flower & Garden Festival, but I was discouraged to hear mixed reviews of the quality and portion size, both from my family and from other Disney sites. I went into the festival expecting to try a couple of the dishes, but I definitely wasn’t expecting to feast like I was at the Food & Wine Festival. It’s hard to think of another time I’ve been more pleasantly surprised by a Disney event. 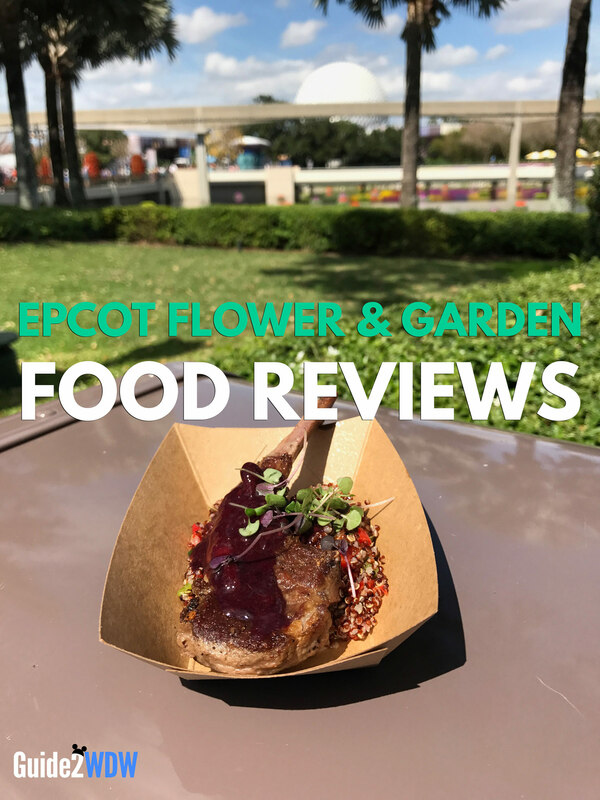 Read on to find out what I loved (and what I didn’t love) to eat at the Epcot Flower & Garden Festival. Candied Strawberries (Lotus House – China): Imagine the juiciest, biggest strawberry you’ve ever had. Then put a layer of irresistible candied sugar on top and sprinkle on some sesame seeds. Quite simply, these candied strawberries were AMAZING. They were also addictive as anything, as I pretty much bought a skewer of strawberries every time I passed by this booth. If I had to pick a favorite item from the festival, this would be it. Seared Pork Tenderloin (Urban Farm Eats): This was probably my favorite savory dish at the festival. The pork was perfectly tender, and the mushroom ragout gave this dish a rich and deep umami flavor. The vegetables and potatoes helped keep the dish on the lighter side. Lamb Chop with Quinoa Salad and Blackberry Gastrique (The Berry Basket): The Australian lamb chop is one of my family’s favorite items from the Food & Wine Festival, and this different take on the chop definitely lived up to the other dish’s expectations. The blackberry gastrique gives is a sweetness that I don’t love as much as the mint pesto from the Australia version, but the lamb was delicious and perfectly cooked. Frushi (Hanami – Japan): This was definitely my biggest surprise. Frushi sounded like a good pun, but it turns out that world play can make for delicious dishes. The thing that pulls this together is the coconut rice, which was downright delectable. The fruit in the roll was also very fresh and flavorful. Shrimp and Grits (Florida Fresh): Disney has added pictures to each booth, which I found to be really helpful for making spur of the moment purchases (thanks for that, Disney!). Anyway, I’m glad I have impulse control issues when I saw the picture of the Shrimp and Grits from the Florida Fresh booth. The grits were cheesy and creamy and the shrimp was the best shrimp I’ve had at a Disney Festival. This dish had a nice kick too, without being too spicy (which definitely became a problem later). 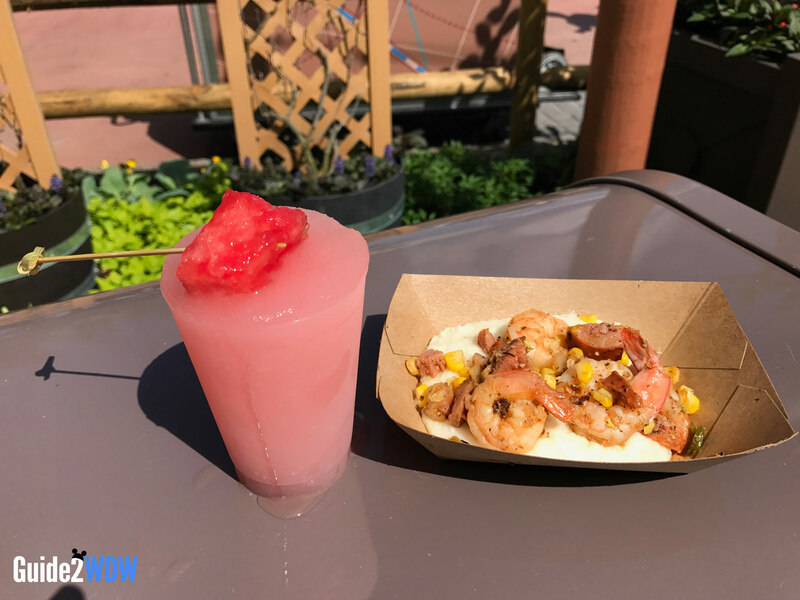 Frozen Watermelon Slush – Non-Alcoholic (Florida Fresh): It was unexpectedly hot during my first day at Epcot, so I jumped at the idea of a cool, refreshing Watermelon Slush. This was delicious: you could really tell the difference between this and a slushee that’s flavored with artificial syrup. I’m also glad I didn’t go for the alcoholic version, as the cup size is on the small side. 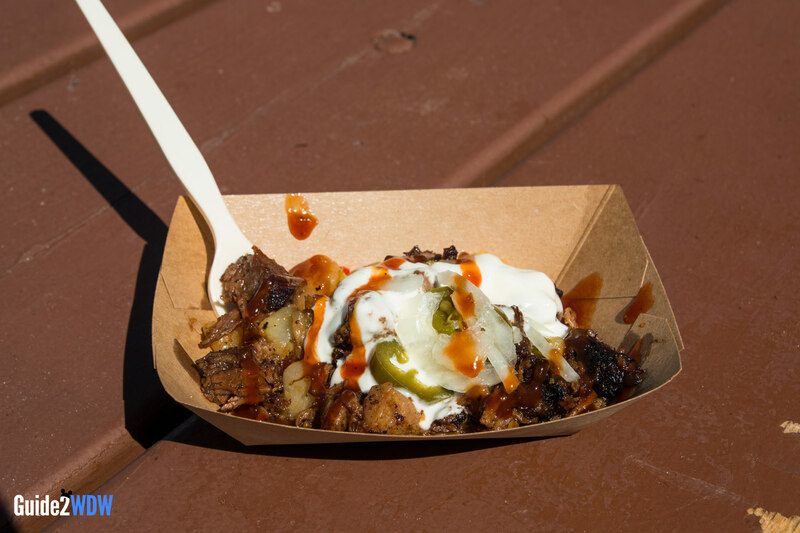 Beef Brisket Burnt Ends Hash (Smokehouse – USA): As a barbecue fan, I enjoyed having some burnt ends, which is not something I can easily get in Los Angeles. I do wish that the hash was a bit more varied texturally, but this is a good, solid dish. I also appreciated being able to add my own choice of sweet or spicy sauce at the utensils station. 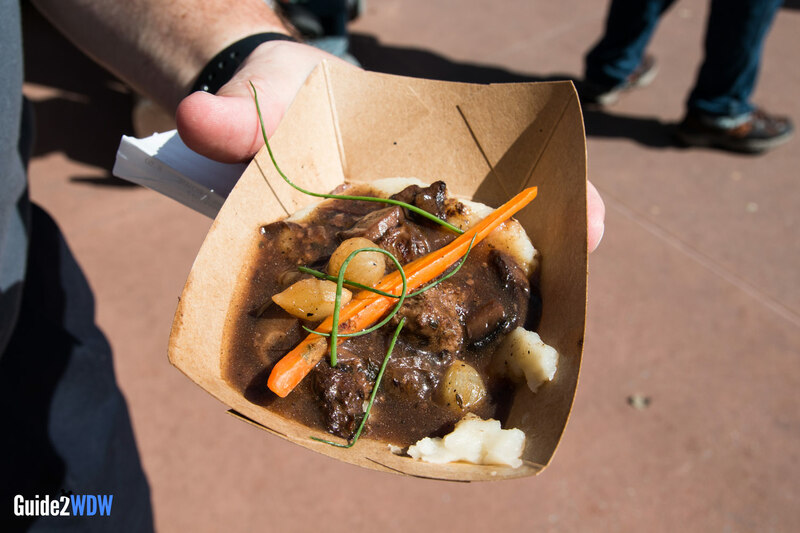 Beef Tenderloin Tips (Northern Bloom – Canada) – Definitely the biggest disappointment from the festival. The preview image looked extremely enticing, but what we received was mushy and bland. By far the worst thing we ate at the Flower and Garden Festival. Brocheta de Pollo con Salsa Morita (Jardin de Fiestas – Mexico): This might be user error, as I don’t speak Spanish. So I was unaware that something about “salsa morita” means “You will die from ingesting the heat of 1,000 suns.” This chicken skewer was definitely tasty, but it was way too spicy for me, as someone who likes food with a bit of heat, to really enjoy. Elderflower Pineapple Margarita (Jardin de Fiestas – Mexico): This was fine, but at over $10 (I can’t quite remember the exact price), this drink was way overpriced for the small portion. Out of the nine things I tried, I really enjoyed 7, and I would only define 1 item as “meh.” That’s a really good batting average, no matter how you slice it. 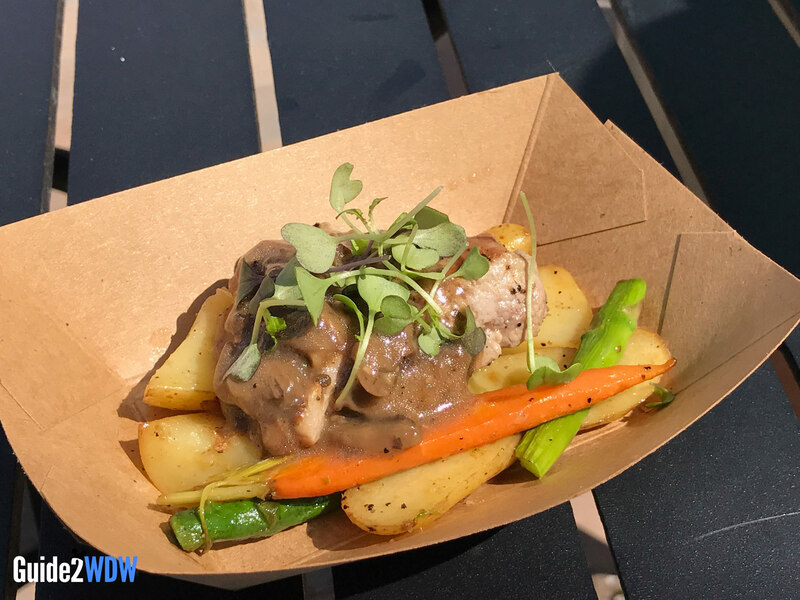 Overall, I really enjoyed the dining options at Epcot’s Flower and Garden Festival, and I can’t wait to see what they come up with next year. 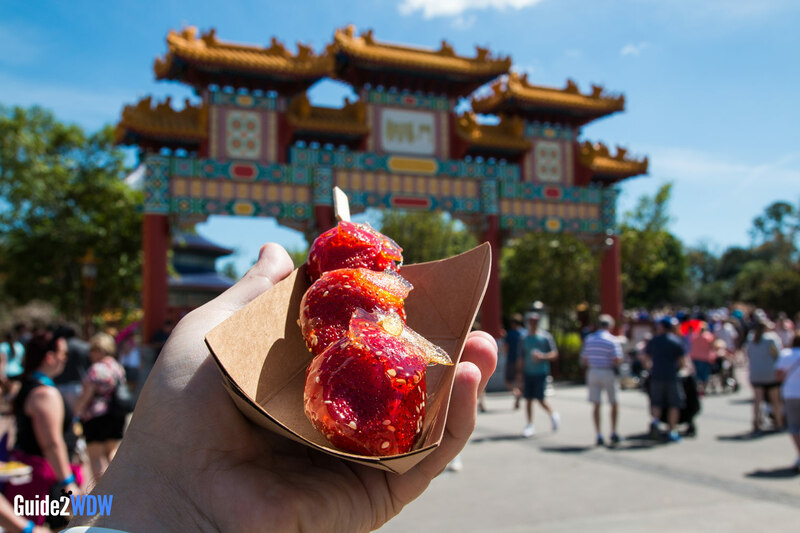 Have you tried anything at the Epcot Flower & Garden Festival? What was your favorite? Any misses? Let me know in the comments below! ← Deal Alert: Experience Disney Magic & Adventure with Disney’s Summer Expedition Vacation Offer!